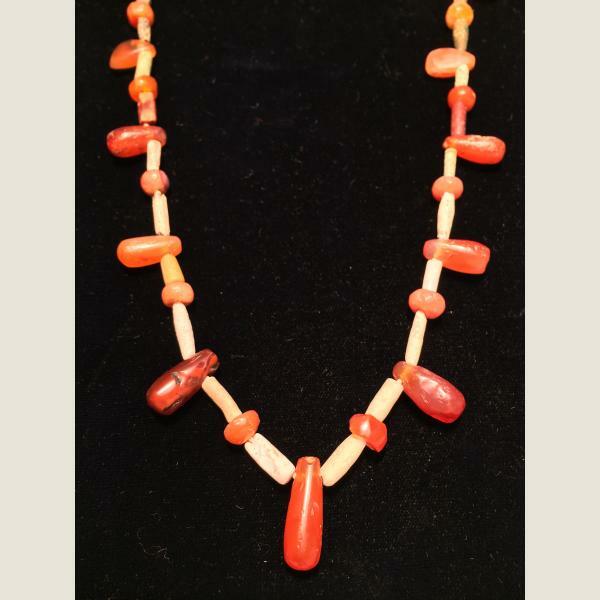 Acquired by the present owner during his visits to Teheran and in the 1960's and early 70s. 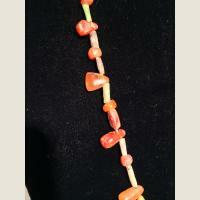 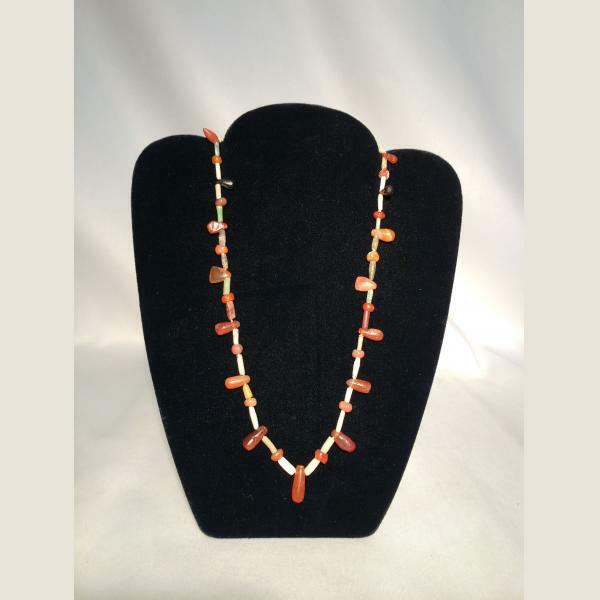 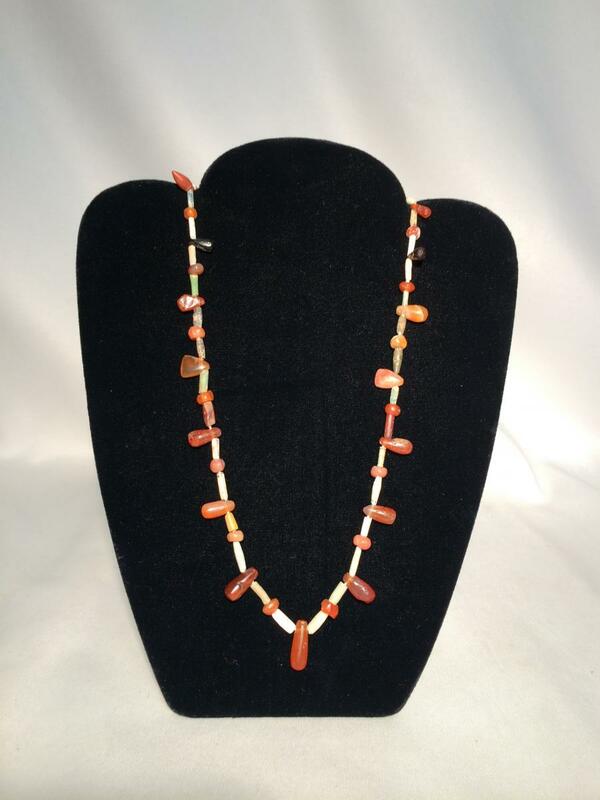 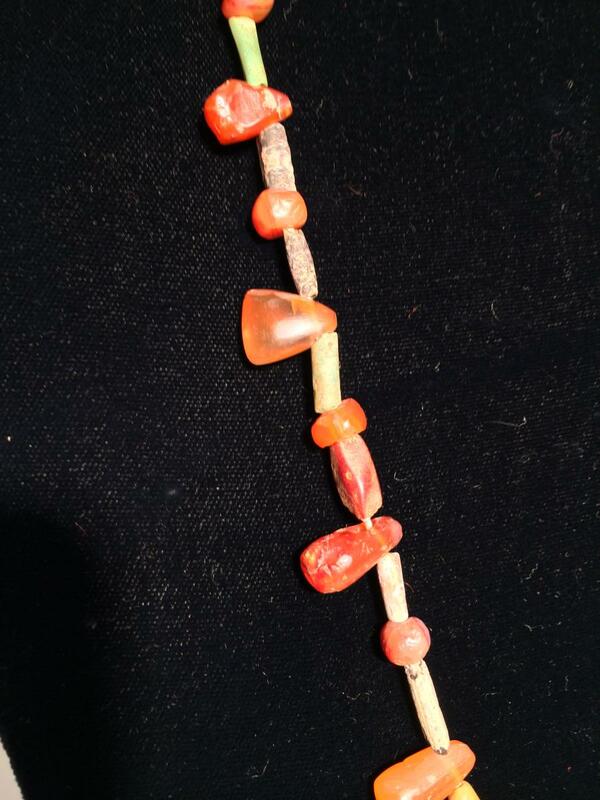 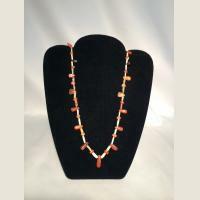 A handsome and wearable Ancient Persian carnelian and faience necklace. 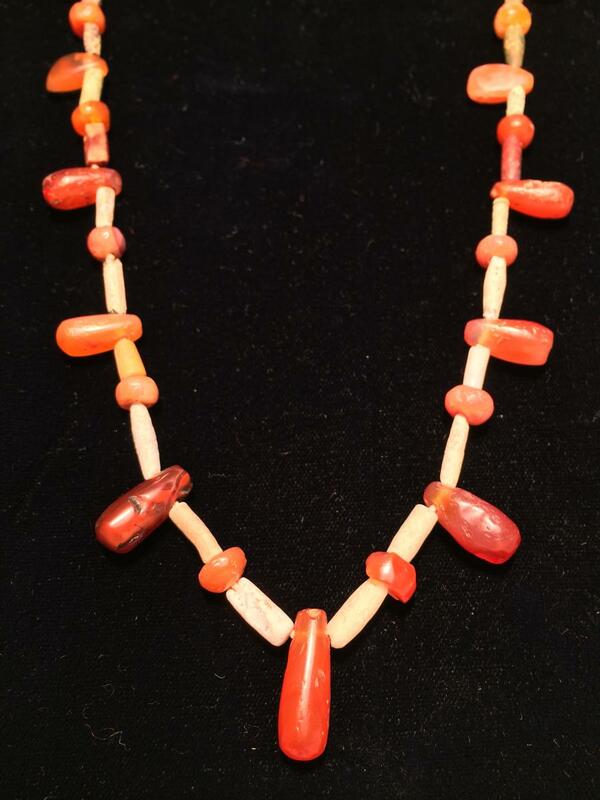 Amlash culture.